April’s showers have brought… a lot of green stuff to take care of. Head to Zoro.com for all your grounds maintenance supplies, including: lawn and garden tools, outdoor storage, and irrigation equipment. Whether you need new hoses, rakes, shovels, or chain saws (or a storage shed to organize it all), we’ve got you covered. 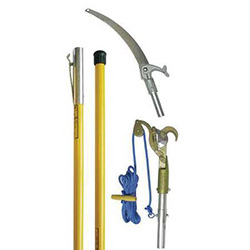 Take the Jameson Tree Pruner, for example — its 6-ft. pole and 13-in. blade will help you trim hard-to-reach foliage with ease. Order yours today, and grab a cooler for your drink breaks while you’re there.